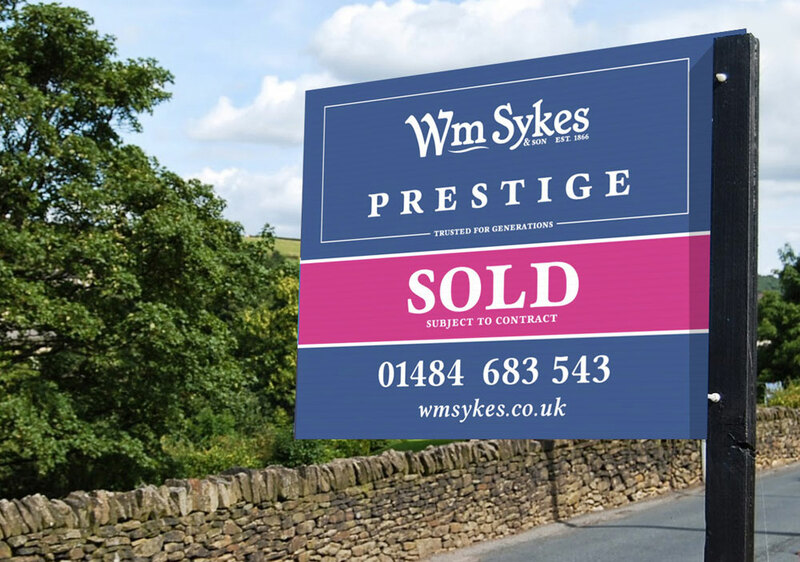 Wm Sykes & Son is Holmfirth’s longest established estate agent and auctioneers. Established 150 years ago they have a strong heritage and well-established brand. 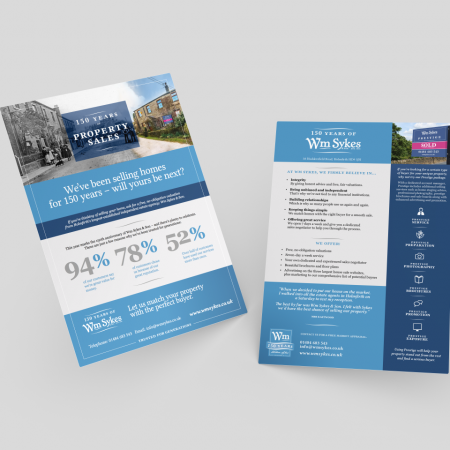 The estate agent is already extremely successful with a fantastic reputation in their market. 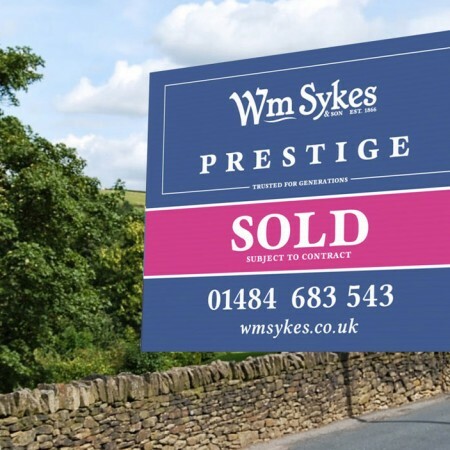 The housing market conditions, whilst getting better, remained tough and their market was becoming more and more crowded with new estate agents entering the market. 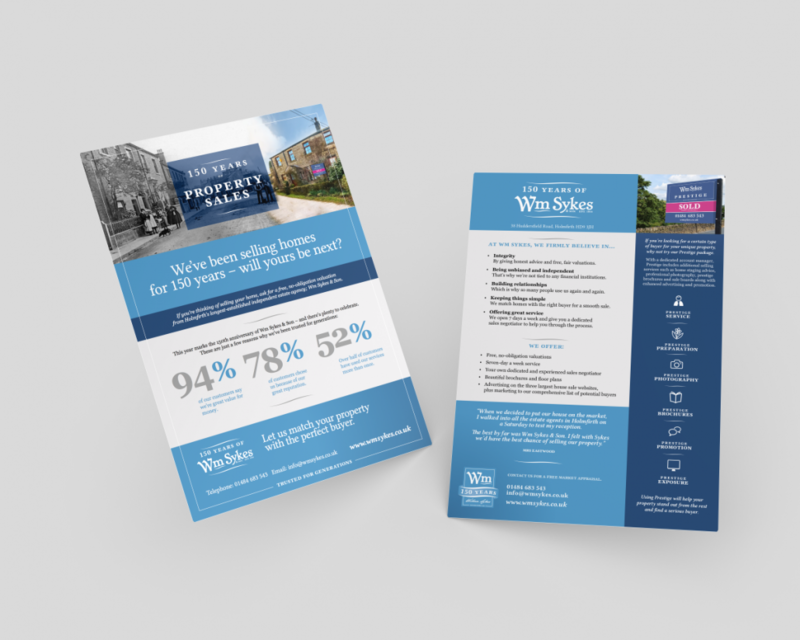 They wanted to review their marketing activities, understand their target markets better and develop a new marketing strategy that would help them maintain their excellent position, whilst achieving further growth as the market improved. We began with market analysis and insight. We conducted a large-scale customer survey to understand current perceptions and carried out a full competitor review. It was clear from the findings that the estate agent had a great reputation. However there was also a mixture of misleading perceptions. Some customers perceived them to be as slightly old-fashioned, yet many believed their heritage and well established reputation made them unique. Some said they saw them as estate agents whilst others viewed them as auctioneers or primarily linked with farming. 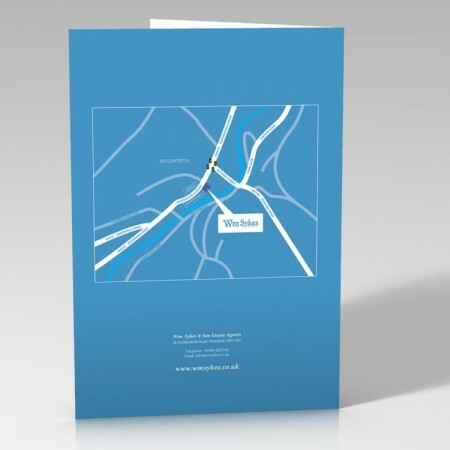 We developed a strategy that would build upon their success and reach new markets whilst keeping existing customers happy. We created a new brand strategy. The main ‘mothership’ brand was given a refresh, building upon the heritage style and using a Farrow and Ball blue synonymous with beautiful country cottages that evoked quality and style. We developed a new strapline and copy that communicated their differentiators. 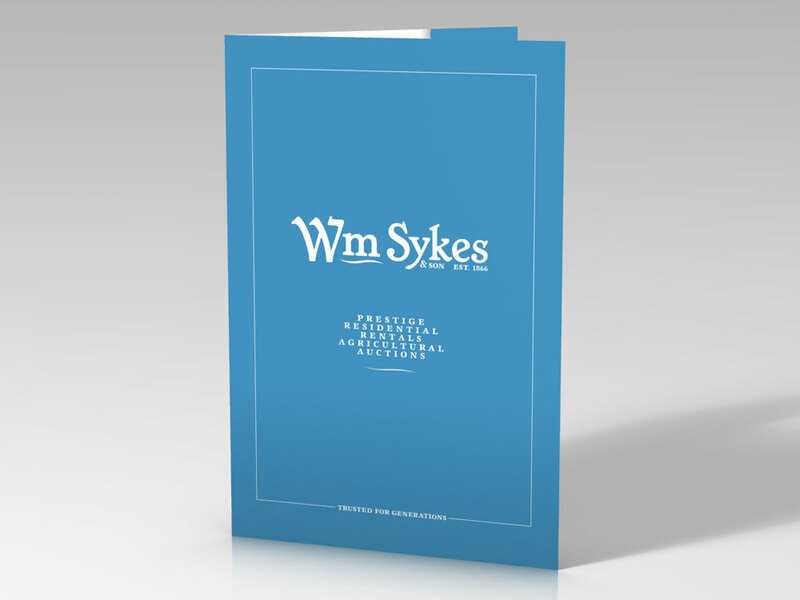 The strapline we created, ‘trusted for generations’, communicated their main brand strengths; their heritage and customer loyalty. 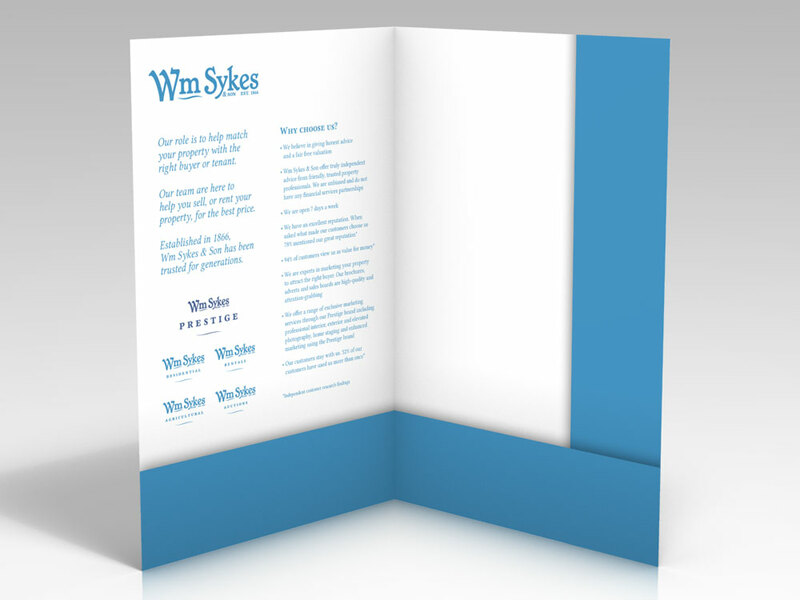 We then developed a series of sub-brands so that customers could better understand what they do and how they can help. The new sub-brands are simple and easy to recall; Residential, Rentals, Auctions, Agricultural and a new service Prestige. Prestige was created to attract home sellers and buyers at the top end of the market, or those with distinctive properties. This service includes high-quality marketing, professional photography and home staging. 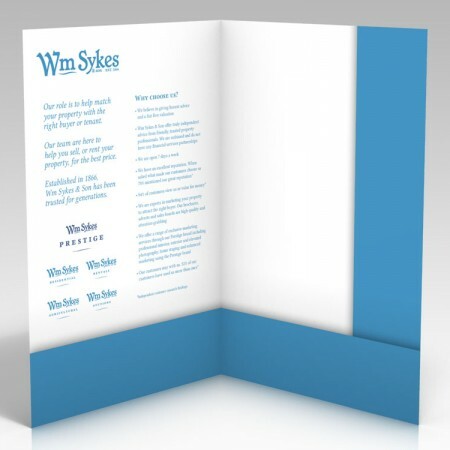 Once we had agreed the new brands we began to develop all their marketing communications. 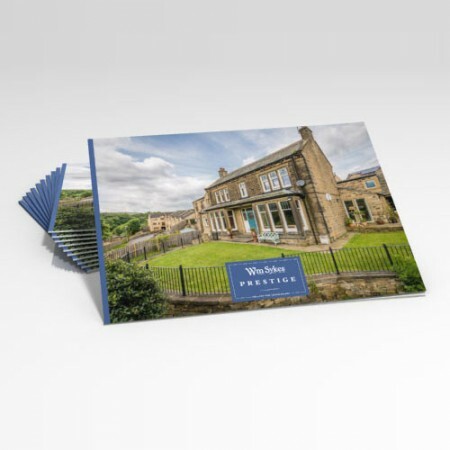 This included a new folder and marketing inserts to promote each service, stationery, signage, advertising campaigns, social media platforms, property brochures and window displays. We planned and wrote all the copy for the new website and helped to source the right web design partner, choosing Redbak, who designed and developed the site. 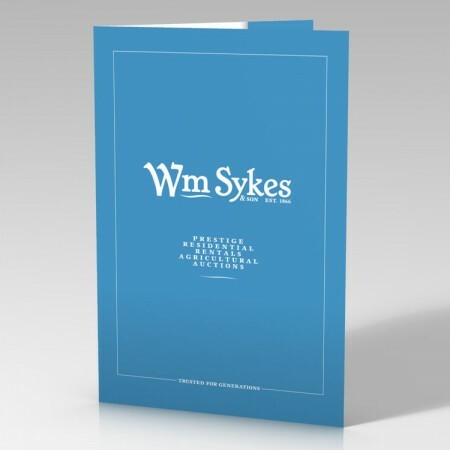 We worked with Wm Sykes existing suppliers ensuring brand consistency many of which are local including sign-makers, specialist property brochure printers, window display fitters, third party websites like Rightmove, printers and more. 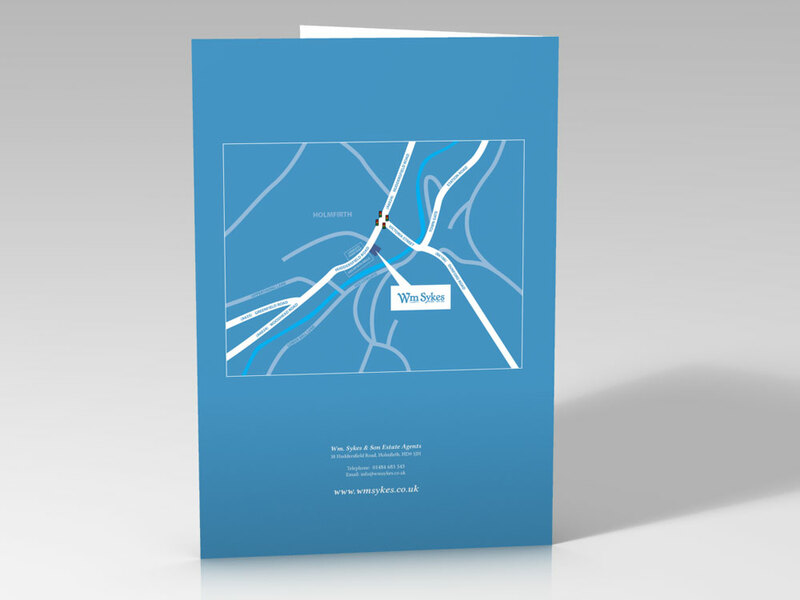 We project managed everything delivering the full rebrand. 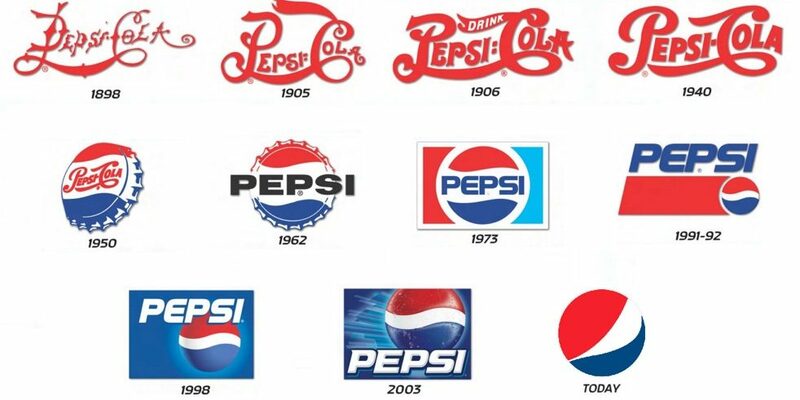 We later launched a 150-year anniversary brand. This included a year-long campaign and event. In 2017 they opened a second branch in Slaithwaite. Selling properties quickly and have sold over a third of their properties in the last 3 months.